Let’s take a moment to expand on this week’s Tip Tuesday. 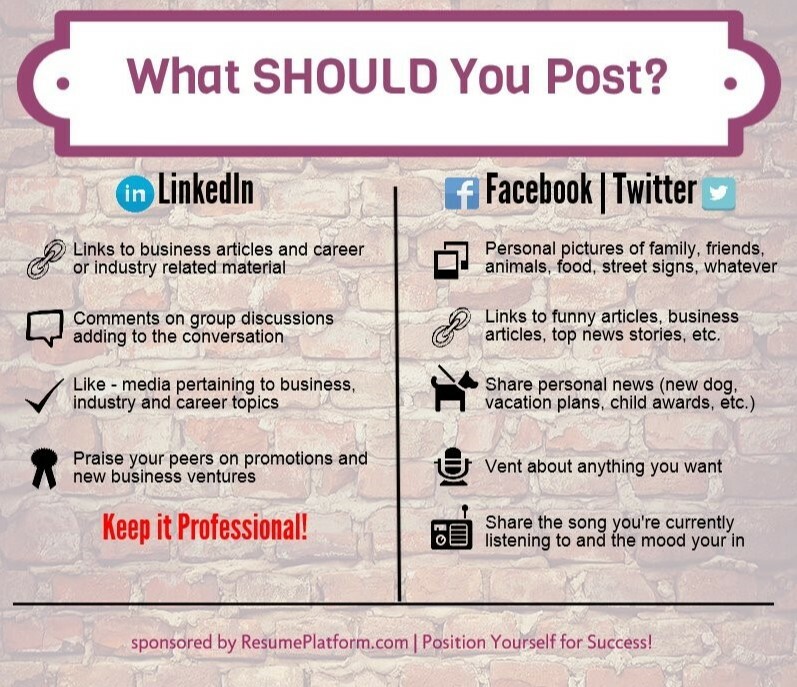 #TipTuesday: Keep #LinkedIn professional. Sharing articles not pertaining to business increase the chance you’ll be hidden on newsfeeds. In the age of multiple social network and media sites, it’s easy to get caught up in the hustle and bustle of “liking” and “sharing.” It’s not so easy to differentiate appropriate content for your audience. Most people don’t even realize the different audiences your social networks attract. It’s simple. LinkedIn is your 100% professional networking site. Period. Recruiters and hiring managers utilize LinkedIn to search for and vet applicants. Professional organizations utilize LinkedIn to manage job listings, company pages and post articles pertaining to business. Business professonals utilize LinkedIn to build a professional network by joining and commenting on group discussions, providing and earning recommendations from peers and applying for job postings. Knowing how each set of users navigates the platform should make you see the importance of maintaining professionalism on LinkedIn right? Sadly that’s not the case otherwise I wouldn’t be writing this article. Have you ever seen a cute kitten picture telling you to keep your head up because it’s Monday? How about a veteran looking for their squad mate from year’s past? What about a child who was promised a new puppy if their picture gets 1 million likes? If members of your professional network post things like this, I advise you to block them from your newsfeed. More importantly, if you find yourself posting things like this to your professional network, STOP. There’s a good chance members of your network have already blocked you from theirs. 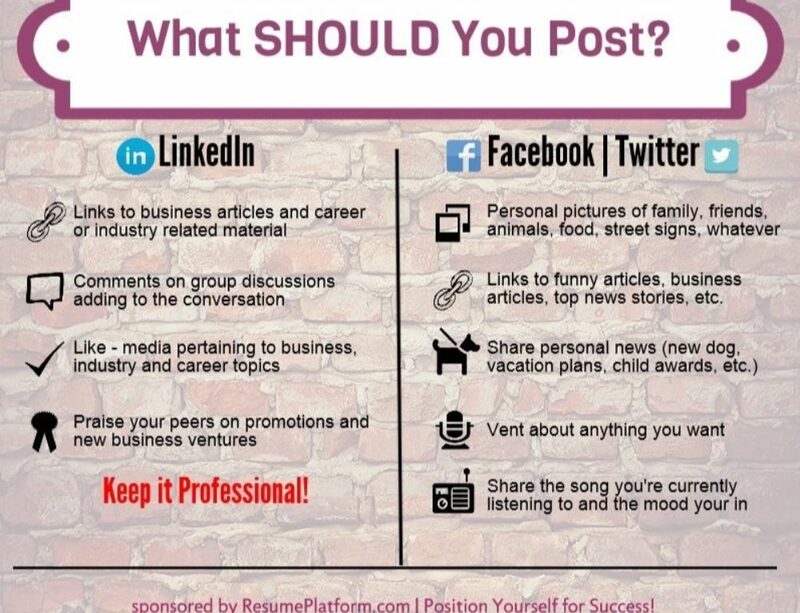 For more information on LinkedIn optimization services to help you get ahead of your competition comment below or contact info@resumeplatform.com.